Launched May 2010. 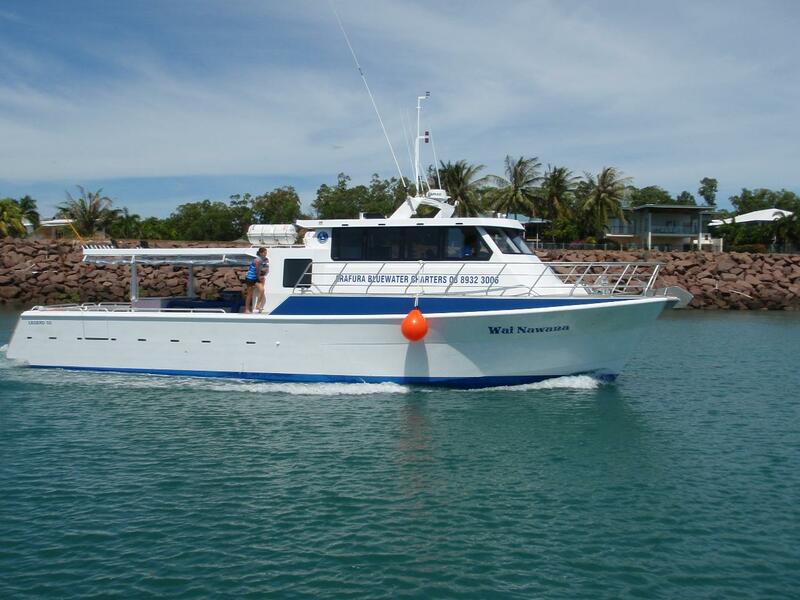 A 52' custom built fishing vessel sleeping a max of 12 persons. whilst drifting the shallower grounds and the trout love them. Meals: Your friendly crew will cook for you each day a scrumptious breakfast, lunch & dinner. breakfast including cereals, yoghurts, assorted toasted sandwiches & bacon and egg rolls. chicken, freshly caught fish all cooked on the BBQ. advise if you have any dietary requirements at time of booking. Please note: Menu's may change without notice. Beverages include juice (breakfast), hot beverages, cold drinks & iced water. BYO any alcohol or your favourite soft-drinks (no glass please). Amenities: 2 toilets and 1 shower with hot/cold water. accommodation is provided with sheets, a blanket & pillow. Power: 240v power is available. the unlikely event of extreme weather or unforeseen medical issue. and fly out 2 am on the 9th). This needs to be arranged with management prior. areas large Golden Snapper and powerful black Jewfish on the way home. 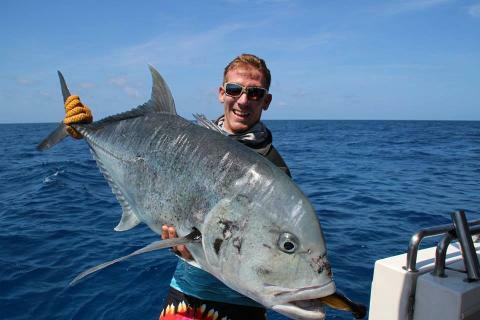 the chance to tussle with some Spanish Mackerel or land a trophy Sailfish. trips we have had several encounters with Sailfish and large Black Marlin.